In the fall of 1989, sharp pains began shooting through my chest along with sickness and nausea in my stomach. At the same time, my heart began skipping and palpitating, and I could feel it beating and sputtering in my neck, arms and shoulders. My energy level plummeted, and I would literally "see stars" as a result of merely walking across a room. About 11 p.m., my body began to shake and tremble uncontrollably. Sue called 911, and an ambulance arrived to take me to the hospital, but I decided not to go since I did not have medical insurance and because I had a fear that they would immediately want to cut open my chest and do heart surgery. Besides, I considered myself a person of faith, having cut my spiritual teeth on books of faith and healing by Kenneth Hagin, T.L. Osborn, Smith Wigglesworth, F.F. Bosworth and others. I had preached faith and healing for many years and had seen God heal others though my prayers. I, therefore, decided to take my stand on God's promises of healing, not knowing the battle I was in for or the lessons I would have to learn. Over the next 3 1/2 years, a tremendous battle raged in my mind and body. Despite reading and confessing healing Scriptures day after day and week after week, the symptoms persisted, and the mental battle raged on night and day. I continually battled thoughts of death and dying. I would often awaken in the middle of the night in a panic and cold sweat, feeling my heart palpitating, and fearing that I was going to die at that very moment. I was looking for an instantaneous miracle of healing, but it did not come. However, around three months into this battle of faith, when I was wondering why God was not responding to my prayers and faith declarations, I heard the Holy Spirit speak in my heart, "You will come out of this by reversing the process that got you into it." I immediately and intuitively knew what He meant. I would not be given a miracle of healing. If I was going to be healed, I would have to make some changes. It was not the devil that had brought on this sickness; it was my own unhealthy lifestyle. Over a period of weeks, God prescribed several areas that I would have to change if I wanted to be well. These changes included changing my diet, living in peace, exercise and living in transparency. I diligently made application of these directives to my life, but the months went by without any discernible change. 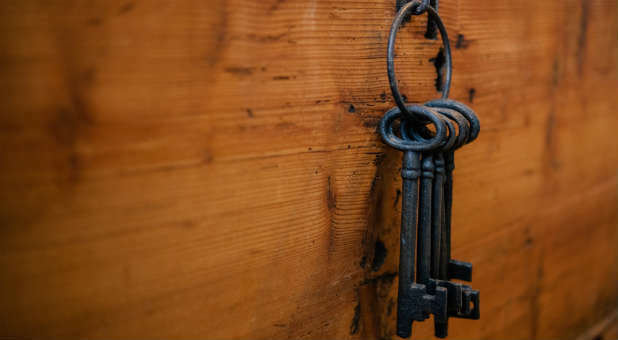 At a point of discouragement and desperation after about two years into the battle, I had a unique visitation of the Lord in which He handed me "Three keys to answered prayer." The three keys were promise, praise and perseverance. These three keys unlocked the door of healing and answered prayer for me. Now, 30 years later, I am living in health and taking no medication. To God be the glory! You can read the complete story in Dr. Eddie Hyatt's latest book, 3 Keys to Answered Prayer, available from Amazon in both paperback and kindle. Check out his website at www.eddiehyatt.com.